Living deep in the Minnesota woods near the Canadian border, Tamer and Yvette Ibrahim took pride in being ready for whatever the wilderness could throw at them. Then came baby Zein, a blizzard and a white-knuckle ride to the hospital. Yvette Ibrahim's complicated pregnancy created unexpected challenges, including five-hour drives to Duluth and back each month for checkups. It was mostly manageable until the December 2016 night when her water broke. Heavy snow blew across the Arrowhead darkness, but Zein wouldn't wait. With their phones down and no way to get medical advice, the couple felt they had to chance it. Taking off for Duluth at 1 a.m., they made it to the hospital four harrowing hours later. Yvette Ibrahim delivered Zein safely after 46 hours in labor. But sitting at home recently, her 2-year-old on her lap, she wondered about the treacherous drive that could have been avoided had there been a birthing hospital closer to home. Eighteen months earlier, the Ibrahims might have been able to drive to Grand Marais to deliver at North Shore Health hospital. 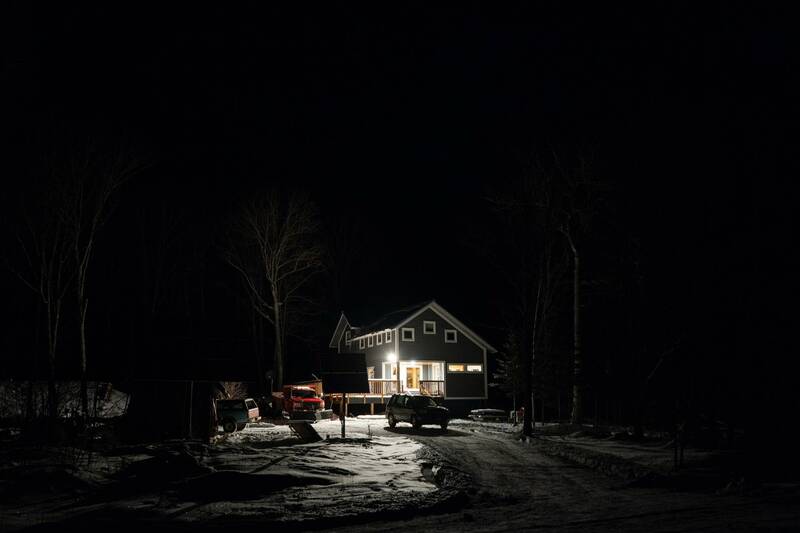 Instead, they drove past it that night because North Shore stopped delivering babies in 2015 — part of a troubling trend that's left rural clinics and small-town leaders frustrated across Minnesota and the country. • Share your story: Did you experience similar challenges during your pregnancy? A growing number of rural hospitals will not do planned baby deliveries, citing legal and insurance costs. There's also the challenge of attracting doctors to small towns and the demands of hospital systems to consolidate birthing centers. All of these spring from a fundamental problem: fewer rural babies. It's a cycle that's created cascading problems for rural communities and couples, creating new risks for pregnant women who must travel hours to deliver and making it that much harder to keep young adults in small-town Minnesota. Grand Marais sees that firsthand. While North Shore still handles many of the community's health care needs, including prenatal and postnatal care, closing the birthing center opened the door to a civic dilemma with no easy solution. Towns across Minnesota and the country are dealing with similar pressures. The number of hospitals in the state offering birth services fell by nearly 18 percent between 2000 and the start of 2015. Rural Minnesota has been hit the hardest: 15 of the state's rural hospitals stopped delivering babies in that time — a nearly 38 percent decline. That's brought longer drives and bigger worries for would-be parents. One recent University of Minnesota study found a huge jump in anxiety when the Grand Marais and Ely, Minn., hospitals stopped providing labor and delivery services in the summer of 2015. Women who received prenatal care locally reported a tenfold increase in anxiety from 1990 to 2016, the year following the closures. The study also revealed women's worries about the future of their communities when hospitals stop delivering babies. "I feel like a second-class citizen ... I feel that the government does not care about rural residents," one person in the study responded. "I was outraged, extremely sad, scared (I was pregnant with my second child), and nervous! It is definitely a major loss for the community." Nationally, more than half of rural counties lack obstetrics care, and the number is rising as rural hospitals struggle with pressures that are forcing many to close altogether. Rural areas where people are poorer, of color, in worse health and more likely to be on low-paying public programs like Medicaid are more likely to lose health services. "These factors all work together to render some communities deeply vulnerable to poor outcomes around the time of childbirth," said University of Minnesota professor Katy Kozhimannil, who studies rural health care trends. "And when I say something like poor outcomes around the time of childbirth, I'm not sure that fully conveys the tragedy of losing a mother or losing a baby," she added. "It's something that can really destroy a life. It can destroy a family, can destroy a community, and it's happening more often in some communities than others." Kozhimannil's research confirmed that preterm and out-of-hospital births rise when a community loses hospital-based obstetrics care. She's also found a troubling increase in the rate of emergency room births in hospitals. "You may not have a clinician there who has done a delivery for quite some time," she said. "It's not set up to have all the infant monitors and equipment that's generally available to support birth." One of the biggest worries for expectant parents is getting to the hospital before the baby is born, even when the hospital is just a few minutes away. It can be a nightmare when the baby comes early and the birthing center is hours away. 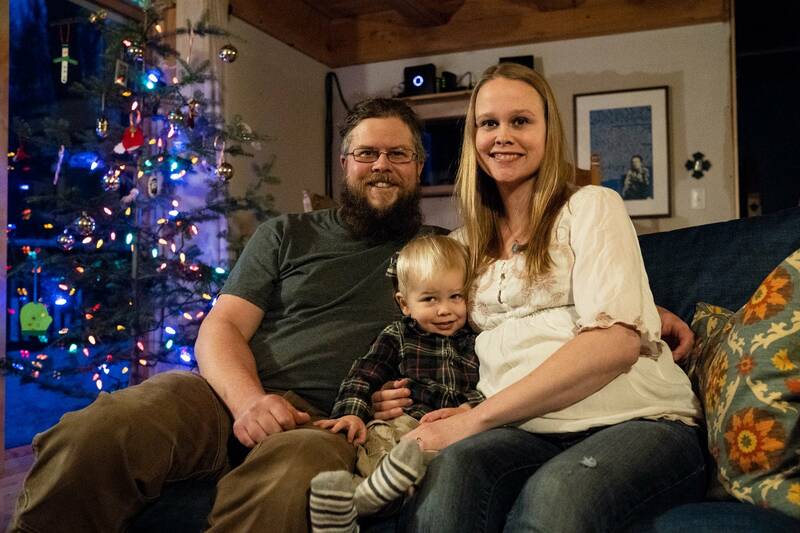 Erin Petz said her 2018 pregnancy in Grand Marais was easy and uncomplicated, which meant she could do most of her prenatal care there with familiar doctors. She grew up in the area and was used to its remoteness. Still, it was hard to tamp down her anxiety over a 110-mile drive to the hospital in Duluth. What if the baby came early? What if Tyler's job as a forester near the Canadian border meant she'd have to deal with labor alone? "I was, like, sobbing in front of the nurse and the doctor ... what is the plan going to be like in case I go in early?" she said, recounting an earlier clinic visit. "I just I wanted some clarity — 'OK, what is the best contingency plan here?'" Tyler played out nightmare scenarios in his mind. "We could be delivering the baby in the back of the car by ourselves in the dark at 20 below," he said. "These are things that happen." Then her labor started early. It was hard to decide if what she was feeling was real or a false alarm. With North Shore Health no longer offering birthing services, she went to the emergency room for guidance. The doctors thought Petz's condition required a trip to Duluth in an ambulance. "We kind of fought them a little bit on the ambulance thing," she recalled. "Just because the thought of being strapped down for two and a half hours while having contractions on a bumpy highway sounded miserable ... It was not pleasant being strapped down." Corwyn, their first child, was born in Duluth in November, a few weeks ahead of schedule and healthy but with complications that prolonged the anxiety. Corwyn was jaundiced, a common condition in newborns. As they got ready to head back to Grand Marais, the pediatrician in Duluth told them the baby might need light-therapy treatment, which is standard care in urban hospitals. "The doctor said, 'If he needs to go under lights, you can take care of that up there,' ... so we went home," Tyler said. Corwyn needed light therapy, but there was no light treatment in Grand Marais. "And so our doctor says, 'Hey, don't panic or anything, but I need you to go home, get your things packed up again and drive to Duluth so he can be under the lights," Petz said. Heading back to Duluth, they grew worried. Corwyn couldn't stay awake enough even to eat. Then the car started to bark. "We're going up hills and it's like shifting kind of erratically, and the transmission went out like on the way down, you know," Petz, 33, recounted. "And it's December. And there are places on the road where there is no reception. And we have a 3-day-old in the car." They broke down in Two Harbors, Minn., about 30 minutes from Duluth. But they had cellphone reception and were able to call their doula, who picked them up and brought them to the hospital. 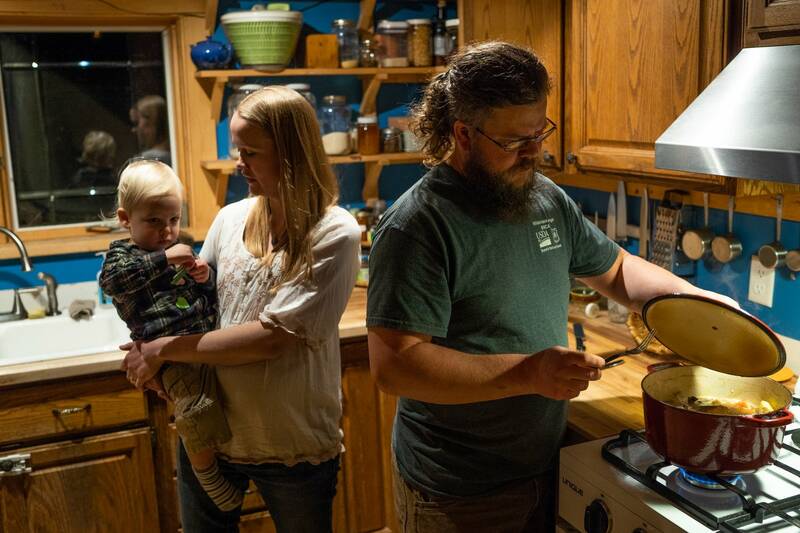 Tyler, 37, said he accepts the risks that come with living in a remote part of Minnesota in exchange for more independence, but he says the health care hassles there are much worse than his friends living in cities deal with. "There is a big gulf," he said. "If we want our rural communities to be strong and to carry on, that gulf needs to get closed somewhat, because otherwise these communities are going to die if there's no way to have babies here." 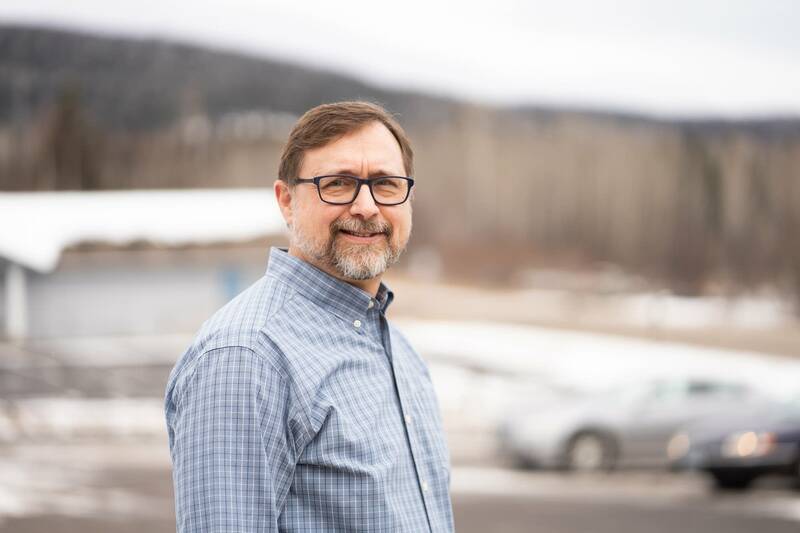 Grand Marais Mayor Jay Arrowsmith DeCoux took office shortly after North Shore Health announced it would stop delivering babies. He's heard concerns repeatedly since then about the long trip to Duluth for pregnant women, and the worries about what the end of local baby delivery might mean for Grand Marais. 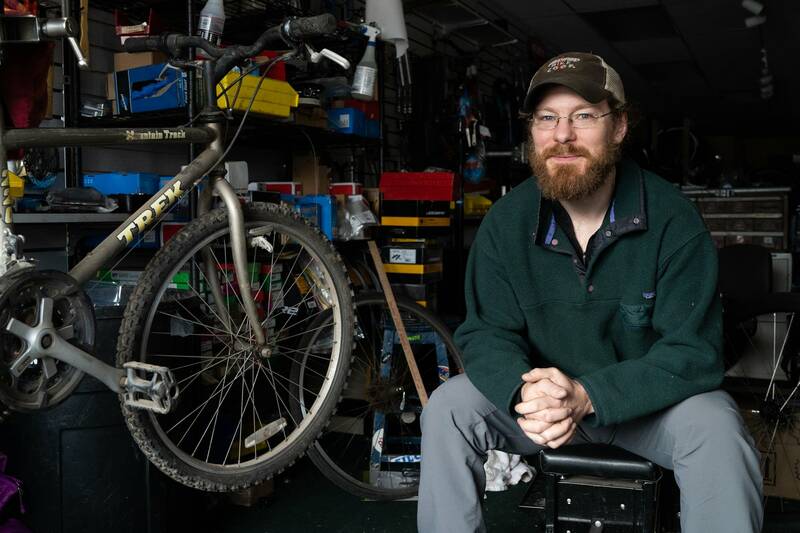 "I don't know if calling it a maelstrom would be out of line," Arrowsmith DeCoux said as he worked in his downtown bike shop. "But man, there were a lot of people up in arms about that ... There's a lot of pride of place up here. 'I'm from this place. I was born in this place.' That sort of thing." That helps Grand Marais remain vital, he added. When people feel deep emotional ties to the area, it's easier to keep them there in spite of the remoteness, the weather and high housing costs. The end of obstetric services at the hospital has been a deal-killer for some people thinking about settling in Grand Marais, he said. "We've had a number of people choose not to call this place their home because they're afraid of the life-spectrum care that's available." When young people leave Grand Marais, it erodes the workforce, which makes it harder to attract businesses, which threatens the region's economy, which makes it harder to attract young people — a cycle that many rural towns face as they try to sustain themselves. The town batted around ideas to make the situation easier on families — providing a house in Duluth where pregnant moms can stay for a while, or encouraging employee policies that accommodate women who need extra time for doctor visits in Duluth. But it's been difficult, Arrowsmith DeCoux said. "That's a system we plainly do not have set up in the United States," he said, "which is strange because we are such a rural country." Maternity care is expensive to provide. It's a common refrain when the discussion turns to why hospital labor and delivery services are disappearing in rural Minnesota and even some smaller cities. North Shore Health stopped doing planned deliveries in Grand Marais in 2015 because it couldn't afford the added staff, equipment and training to do a cesarean section — an emergency procedure to rescue a birth going badly. Its insurer warned it was out of compliance with current medical standards. But the pressure to be C-section ready had the perverse effect of stranding Grand Marais women two-plus hours from a place they could deliver, and changing medical risks rather than reducing them as intended. The hospital felt it had no good options, said Kimber Wraalstad, North Shore's administrator. It could keep delivering babies without offering C-sections and risk a devastating lawsuit if something went wrong. Or, it could build an operating room and staff it round the clock. Wraalstad said that would have cost $1 million more each year in a hospital that was averaging only 10 births a year and has many other needs. Plus, the new obstetrics team wouldn't be able to keep up its skills. "It's not that a decision like this comes easy," she said. "The funnest thing that I used to do was to sign the birth certificates with these little-bitty feet on them. But that's second to the safety of those little itty bitty feet." Elsewhere, changes are happening because decisions about the services hospitals provide are increasingly out of the hands of local residents. Albert Lea, Minn., found that out two years ago when Mayo Clinic, which operates the town's local hospital, said it would close the maternity ward and move baby delivery and other services 30 minutes east to Mayo's Austin, Minn., campus. The news brought protests from angry Albert Lea residents. With a population of nearly 18,000, the southern Minnesota city is not rural but serves a largely rural part of the state. Mayo, though, said too few babies were being born at Albert Lea, contributing to millions of dollars lost between its Albert Lea and Austin facilities. Obstetrics in particular can be a money loser for hospitals when the number of births is low, said University of North Carolina health care finance expert George Pink. "You have to have a physician on standby, you have to have nursing staff, you have to have surgical staff," he said. "All those costs continue whether you have patients or not, and that's the basic source of unprofitability." Dr. Paul Terrill, a family physician who delivered babies for years in Grand Marais before birth services ended, said he understood the logic behind the hospital's decision. "We couldn't blame the hospital board, we couldn't really blame the insurance company," Terrill said. "This is just the way the world is changing." The financial realities reflect a growing reluctance to shoulder the medical, financial and legal risks of a delivery that goes badly, said Dr. Jenny Delfs, who also practices in Grand Marais. "Birth hasn't changed," she said, "but our society's tolerance for risk has changed." And it's not just insurance companies looking to shed risk. Mothers in Grand Marais, for instance, were increasingly choosing to deliver in Duluth because pain-reducing epidurals and C-sections were available there. Women with complicated pregnancies were automatically referred to Duluth, too. Physicians coming out of medical school are also more risk-averse these days, with residents typically delivering babies in facilities with the staff and equipment to perform a C-section if problems get out of hand. 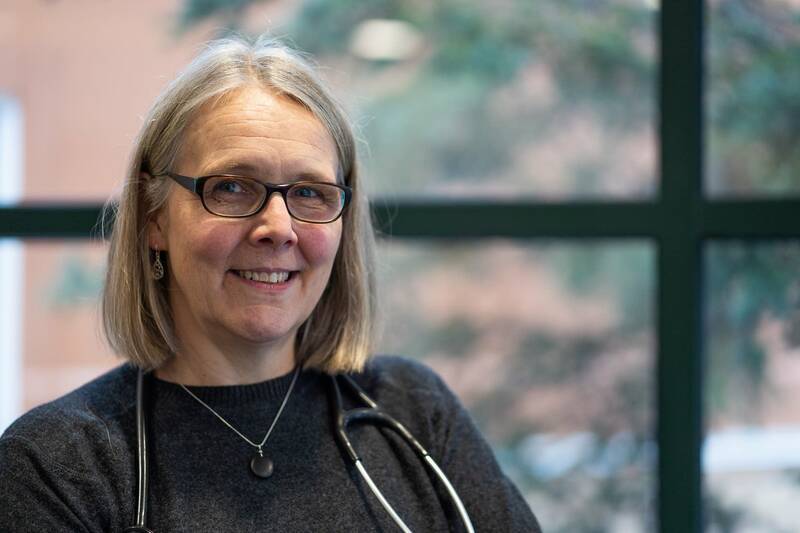 Delfs, who has been practicing in Grand Marais as a family doctor for more than 20 years, said when she was in school, the expectation was that family doctors would do deliveries without a C-section backup. "It was just what we were trained to do," Delfs said. "But as I've been here longer and go down to Duluth and teach at the residency, especially the younger residents would look at me like, 'You do what?' It was like I was a unicorn." Daniel Zismer, a former health system executive and professor at the University of Minnesota School of Public Health, said it makes sense for younger rural doctors to be leery of deliveries. With fewer babies born in rural areas, it's harder for doctors to keep up their skills and manage unexpected complications, he said. "When I finally go in for my heart surgery, I don't want the heart surgeon to be standing over me saying, 'We're glad to see you. We haven't done one of these in a while,'" he said. Frequency is one of the strongest predictors of the quality of any medical service, he added, so it makes economic and medical sense to consolidate specialized services like obstetrics in facilities that can reduce risks to patients. "The bigger question for the sake of the public health is what can [rural hospitals and clinics] reasonably provide in this community in a high-quality way, affordably," he added. Zismer said traveling is better than having a serious complication in a facility that's not qualified to manage it. He recalled the deposition of a physician involved in a terrible birth outcome who acknowledged she was in over her head. "Well, it's kind of hard to restart the process at that point when the place that is qualified is, you know, 50 to 100 to 200 miles away." Still, standards meant to reduce risks for mothers and babies — and lawsuits against doctors and hospitals — can also create other problems for rural women. 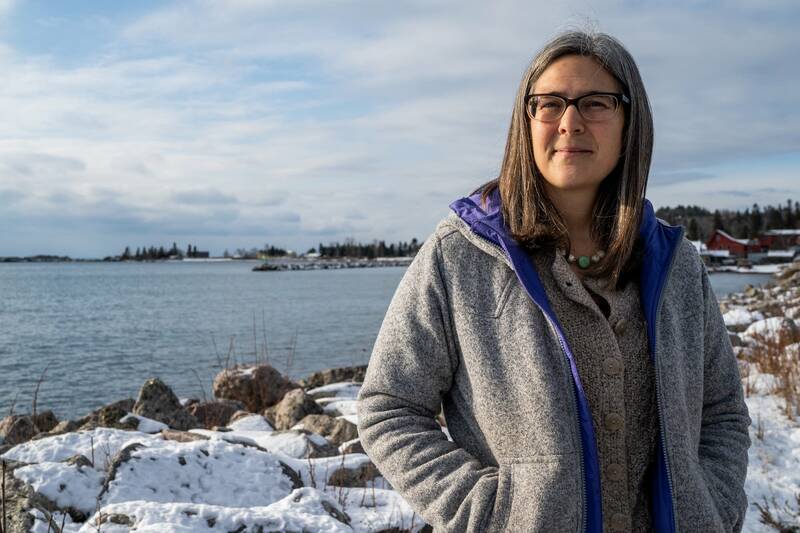 In Grand Marais, pregnancies involve new risks for patients, their families and the doctors managing those pregnancies, said Delfs. That includes unexpectedly having babies in the North Shore Health emergency room, which isn't fully equipped for delivery. "It felt like we took the risk off the hospital insurer," she said, "and we put that risk both on my patients, and took some of their choice away, and put some of that risk back on me." While it might be easy to shrug off the worries of rural parents-to-be, research shows the concerns are deadly serious. 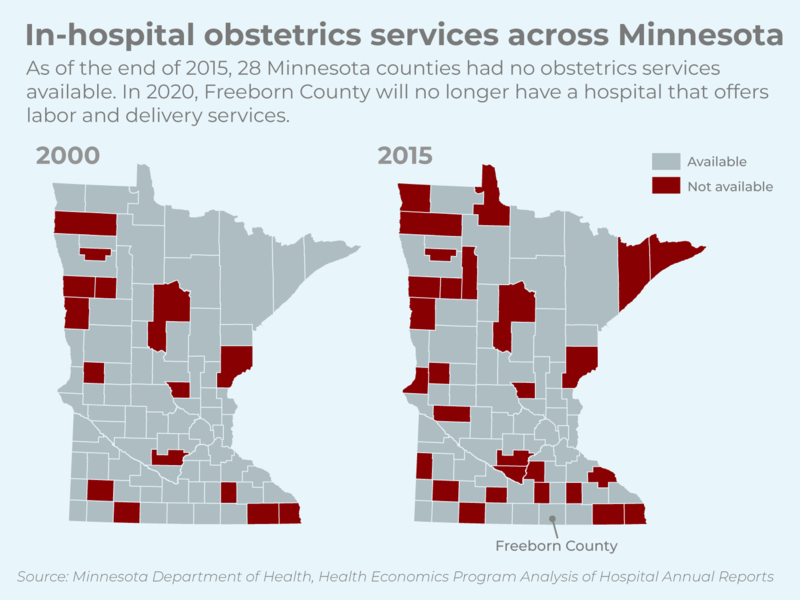 Studies done nationally and in states outside Minnesota suggest that a lack of access to rural obstetrics care is associated with a higher rate of preterm delivery and infant mortality. A 30-year-old study done in rural Florida found a 2.3 percent increase in infant mortality when a community lost a family physician providing maternity care. The same study showed that the loss of one OB-GYN in a rural community increased infant mortality by 9.6 percent. A separate 2017 report in Scientific American magazine found maternal deaths to be 60 percent more likely in the nation's most rural areas than in large metro areas, although the role of distance is unclear. There could be other factors at play, such as underlying health conditions like hypertension or diabetes. 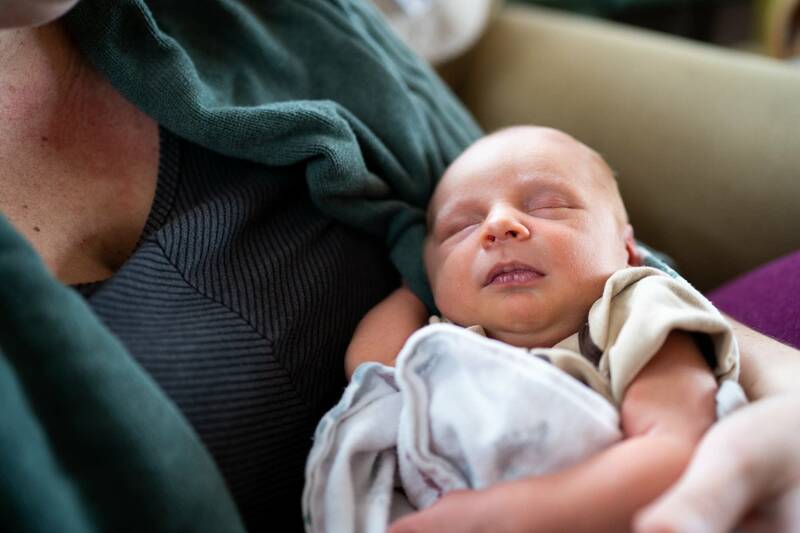 Births that don't go as planned can lead to mental health problems for some women, including post-traumatic stress disorder, said Dr. Sandy Stover, who teaches medicine at the University of Minnesota Medical School Duluth campus, a center for rural physician training. "For women who have a birth that was not what they thought it would be," Stover said, "I have a number of women who still deal with PTSD." Stover, who worked for decades in Grand Marais delivering babies at North Shore Health until the hospital ended obstetrics, said doctors worry about elevated anxiety during pregnancy because it is associated with a host of other complications, including postpartum depression. Canadian researchers have found that women who live more than two hours from a hospital are more likely to have labor induced for logistical reasons, though inducing labor can make birth more complicated. Women who live between one and two hours away are more likely to deliver en route to the hospital. The Canadians have also concluded that infant mortality is higher for mothers living more than four hours from a hospital. Newborns of mothers one to two hours away are more likely to need expensive neonatal intensive care. Beyond the stress of driving hours to get to a hospital, families face extra costs if they choose to stay there until delivery. Parents may also need to find care for children still at home. The entire pregnancy and delivery ecosystem is grounded in the idea that women live near the place they'll deliver, said Grand Marais nurse Kristin DeArruda Wharton. That includes the typical video telling moms-to-be to head to the hospital when contractions are five to 10 minutes apart — impractical advice when the hospital is two hours away. As part of a fellowship aimed at closing gaps in rural health care, DeArruda Wharton created a video with tips on a successful rural pregnancy, touching on topics like whether to stop at the local emergency room during labor, and coordinating care between local prenatal providers and the team that will eventually deliver the baby. But she said distance is just one problem in rural pregnancies. 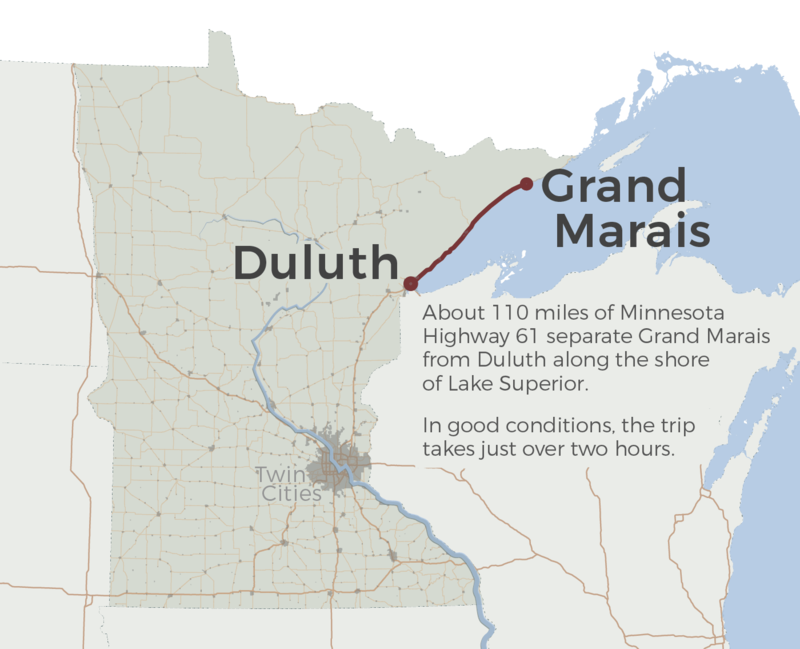 Residents in Grand Marais face the added stress of managing the logistics of getting to and from Duluth for prenatal care and birth. And in some cases, they lose wages because of those trips. "The logistics start to really overshadow the actual act of being pregnant and giving birth itself," she said. 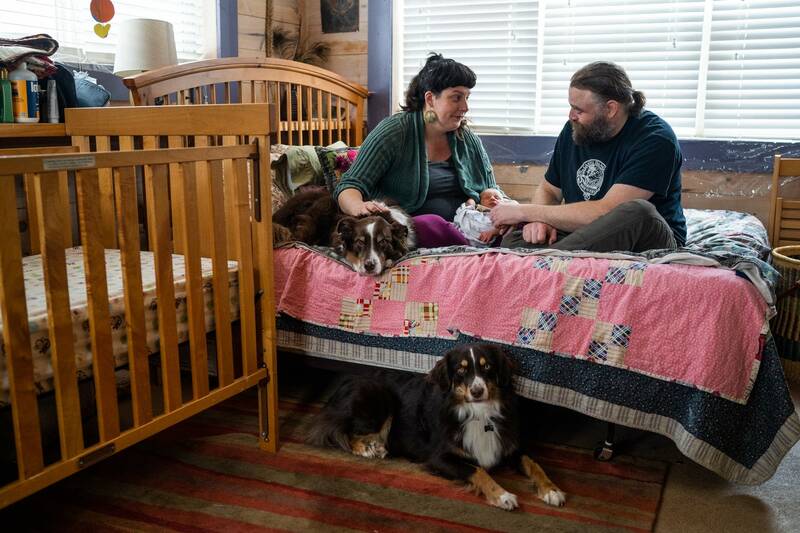 The decision to end obstetrics services in Grand Marais has been hard on many in town, including the medical community, said Terrill, who practices at the Sawtooth Mountain Clinic there. One of the best parts of the job, he said, had been delivering so many babies who went on to grow up in Grand Marais. "There was a lot of sense of loss" when the hospital stopped offering planned deliveries, he said. "You know, 'Why is this happening to us?'" Today, the Grand Marais physicians focus on preparing patients to give birth hours away from home. 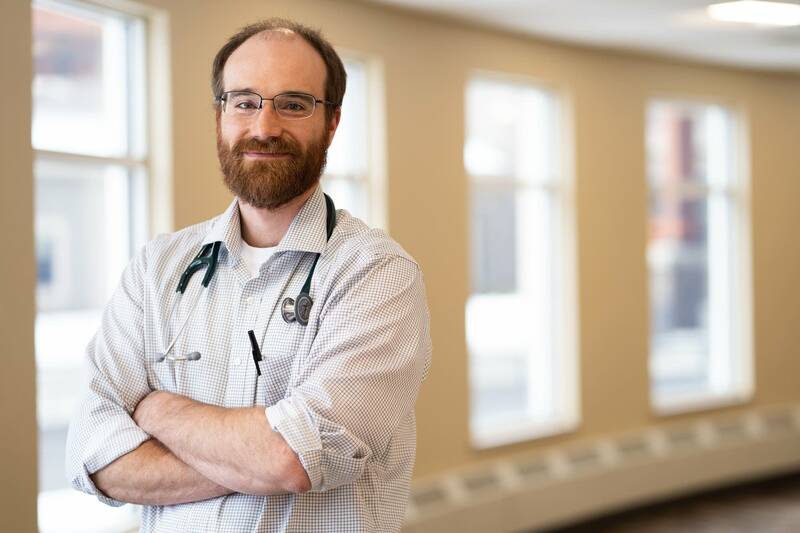 Dr. Kurt Farchmin talks to his patients a lot about the early signs of labor because he doesn't want them wasting precious time going to the Grand Marais emergency room, especially in the winter. "We really lay out what early labor looks like and say, 'If you feel that this is happening, just get in the car and get to Duluth,'" he said. "It's not ideal," he added, "but we feel it gets people down the road and closer to where we want them to be." Now 34 and 42 years old, Yvette and Tamer Ibrahim are preparing for the arrival of their second child next month. 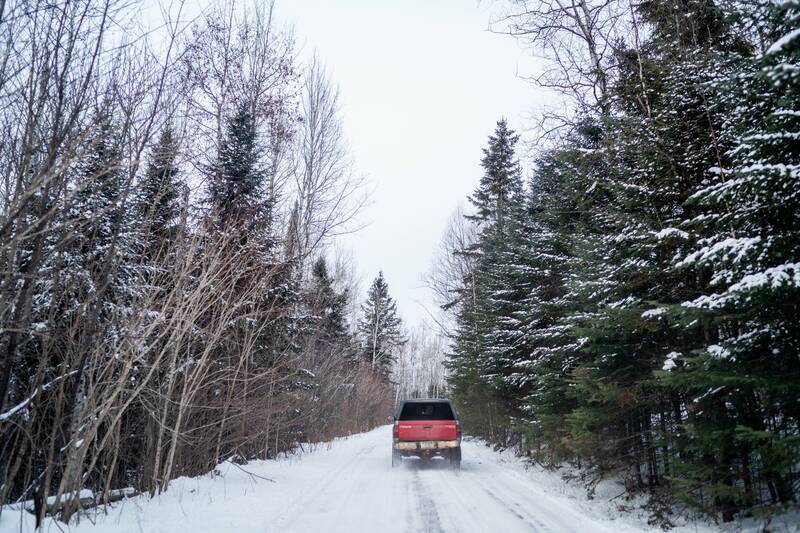 Yvette Ibrahim, a biologist who traps and tracks wolves in the North Woods, said she's still nervous about the drive to Duluth, although this time, she hopes, it won't start at 1 a.m. in a blizzard. They're looking for better ways now to manage the hazards and anxiety that come with being pregnant so far from Duluth. One option is to use some vacation time to stay in Duluth a few days before the due date. 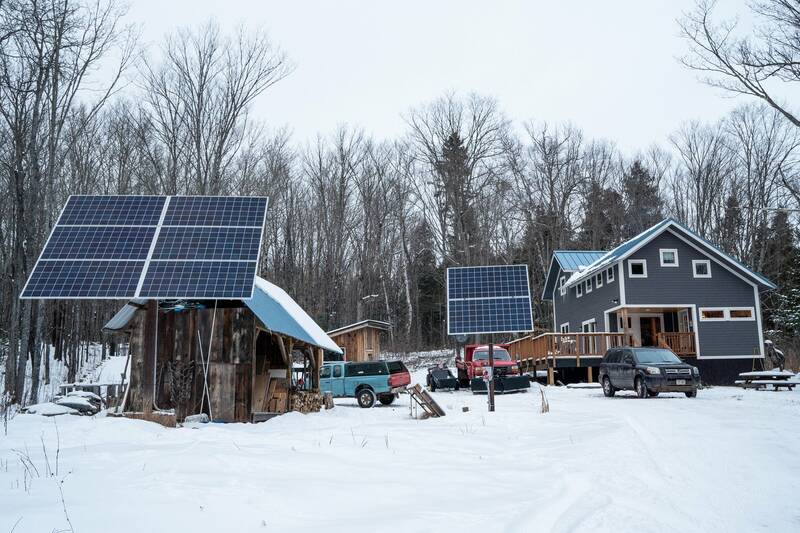 That's a luxury for many people in remote northern Minnesota, Tamer Ibrahim noted. "For people struggling more financially or don't have resources like friends and family to help out, " he said, "it becomes a huge challenge not having that kind of care up here." Did you experience similar challenges during your pregnancy? • Nearly dying in childbirth: Why preventable complications are growing in U.S.